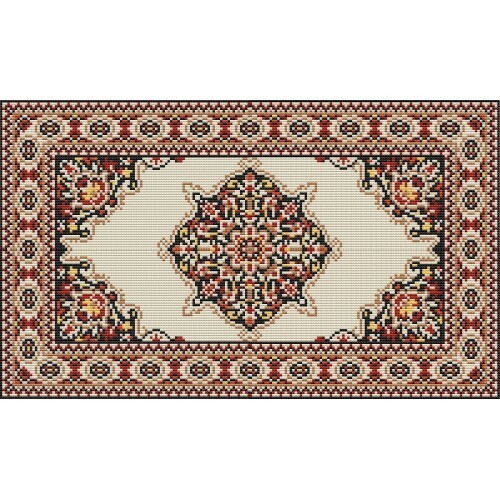 Euphrates rug kit with chart and plain canvas in Romney rug wool. Size 90cm x 147cm (35in x 58in). 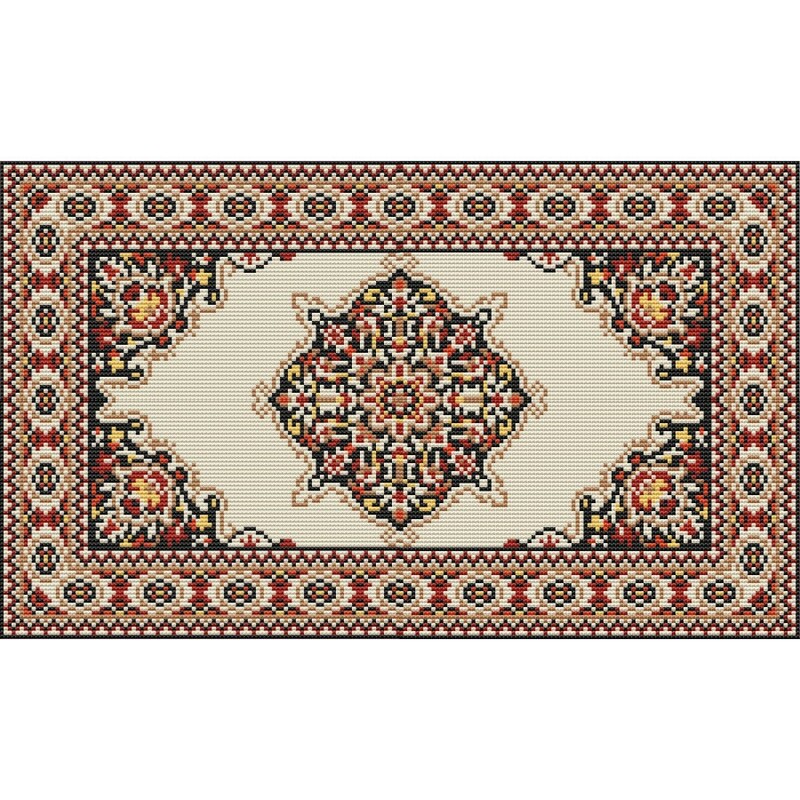 The picture shows a graphic illustration of what the finished rug will look like. Charted canvas kits This is worked from a chart onto a 3.3 holes per inch (hpi) 100% cotton canvas. It is supplied with cut packs of the New Zealand Romney rug wool which is used in commercially made carpets throughout the world and which is recognised for its hard wearing properties. 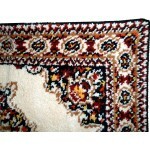 It is supplied with a kit to bind all round the edges of the rug to give a neat and secure finish. 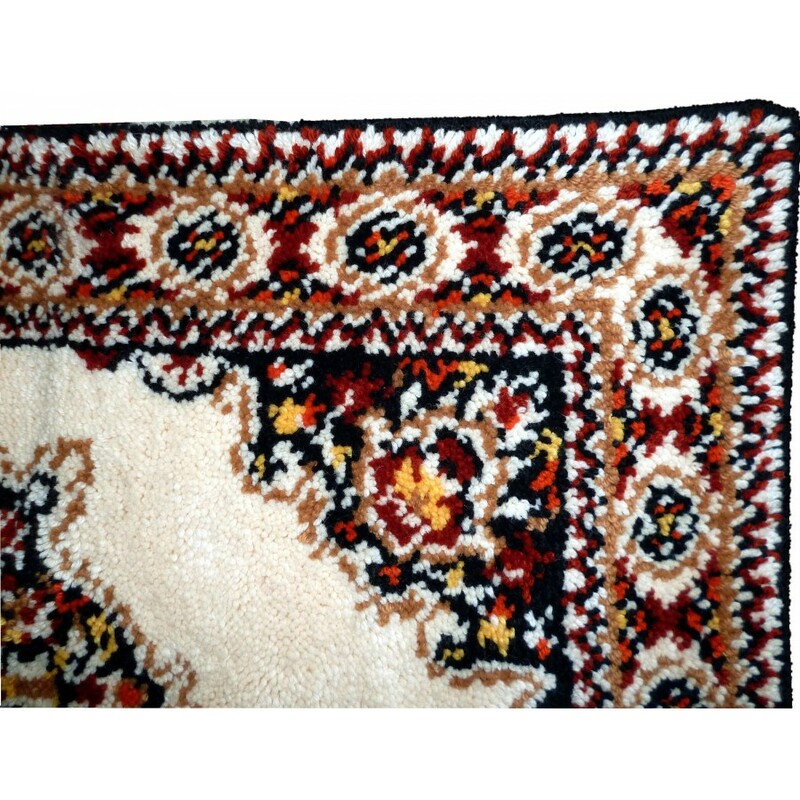 The kit is supplied with a latch hook, a needle and instructions for hooking and binding the rug.